they do not suspect is in them. Between them and me: telepathic exchanges, divination. On the choice of models. His voice draws for me his mouth, his eyes, his face, makes for me his complete portrait, out­ er and inner, better than if he were in front of me. The best deciphering got by the ear alone. Who said: “A single look lets loose a passion, a murder, a war”? On the choice of models.His voice draws for me his mouth, his eyes, his face, makes for me his complete portrait, out­ er and inner, better than if he were in front of me. The best deciphering got by the ear alone.ON LOOKSWho said: “A single look lets loose a passion, a murder, a war”? On two deaths and three births. My movie is born first in my head, dies on paper; is resuscitated by the living persons and real objects I use, which are killed on film but, placed in a certain order and projected onto a screen, come to life again like flowers in water. A model. Enclosed in his mysterious appearance. He has brought home to him all of him that was outside. He is there, behind that forehead, those cheeks. You will guide your models according to your rules, with them letting you act in them, and you letting them act in you. Model. Questioned (by the gestures you make him make, the words you make him say). Re­spond (even when it’s only a refusal to respond) to something which often you do not perceive but your camera records. Submitted later to study by you. Nine-tenths of our movements obey habit and automatism. It is anti-nature to subordinate them to will and to thought. Models who have become automatic (everything weighed, measured, timed, repeated ten, twenty times) and are then dropped in the middle of the events of your film – their relations with the ob­ jects and persons around them will be right, because they will not be thought. Actor. The to-and-fro of the character in front of his nature forces the public to look for talent on his face, instead of the enigma peculiar to each living creature. No intellectual or cerebral mechanism. Simply a mechanism. If, on the screen, the mechanism disappears and the phrases you have made them say, the gestures you have made them make, have become one with your models, with your film, with you – then a miracle. 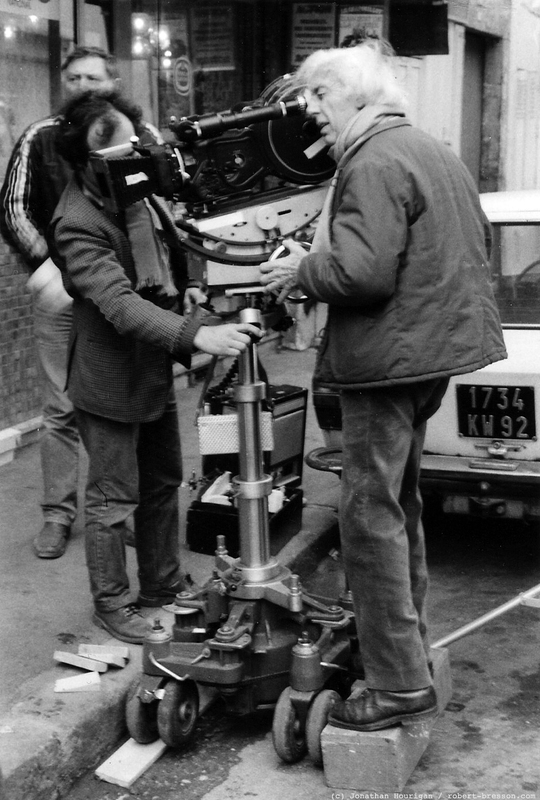 This entry was posted in Fragments and tagged acting, actors, cinema, directing, Film, filmmaking, Notes on Cinematography, Performance, Robert Bresson by Dan North. Bookmark the permalink. I LOVE this book. Kind of like a Zen handbook for cinema. Even though half the book talks about acting than anything else, it’s worth every word. Thanks for this nice compilation, Dan. No problem, JAFB. I post these occasional fragments to record and share bits and pieces I may have been reading that aren’t directly related to research. 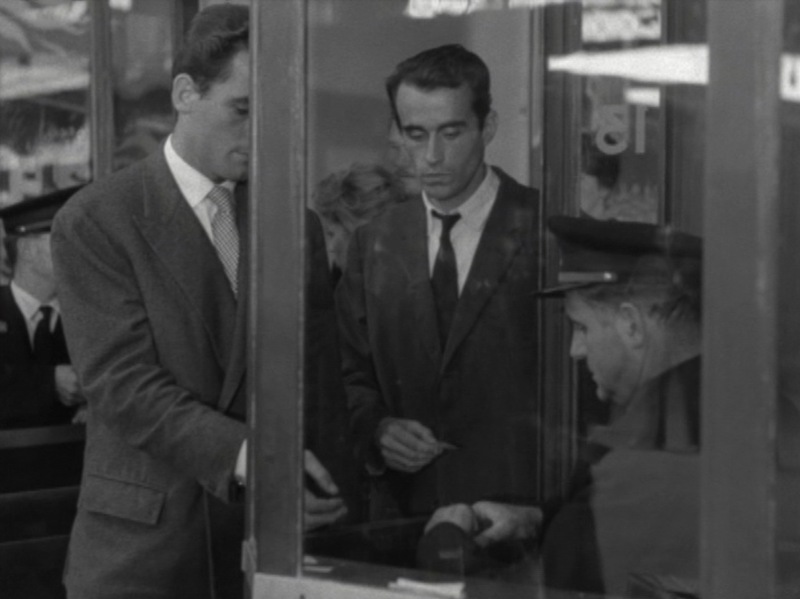 I thought Bresson’s “Notes” was a bit gnomic and pretentious when I first read it, but now I think it’s beautiful. It’s not a “how-to” guide to directing movies, but more like a series of mantras that he tells himself to charge himself up for the job. It’s as minimal and stripped down as his films. Have any other directors written such an intelligent breakdown of their craft? Tarkovsky springs to mind, Eisenstein, Vertov etc. The first picture is not from Bresson. It’s in a movie called Les Cousins (Claude Chabrol)….